This new publication by Dr. Paul Groves, a member of the navigation and positioning algorithms team at QinetiQ, provides an excellent overview of integrated navigation systems. The book is written in a manner that makes it both an excellent starting point for someone approaching the subject of integrated navigation systems for the first time as well as a reference for those already familiar with the field. Groves does this by organizing the subject of integrated navigation into four areas: basic overview, the mathematics of integrated navigation, components of integrated navigation systems, and, finally, the actual integration of these systems. Thus, for the uninitiated the text provides a complete “story” of integrated navigation. For the initiated reader, it becomes a reference in which one can easily locate formulas, concepts, or other relevant information related to integrated navigation systems. Particularly useful in this regard is the very complete and thorough lists of references and citations found at the end of each chapter. These provide a good mix of classic references as well as current conference and journal papers. As noted already, the book is divided into four parts. The first consisting of one chapter part provides a brief overview of navigation. The second part of the book consists of two chapters that cover mathematical concepts relevant to integrated navigation systems. The first of these chapters deals with coordinate frames, kinematics, and models for Earth’s geometry and gravity. Of particular note in this chapter are the succinct but excellent descriptions and discussions of attitude, its relation to coordinate transformations, and the various methods for attitude parametrization. The trade-offs and subtleties involved in using the various parameterization methods are also discussed. The second of these chapters on mathematical concepts deals with the Kalman filter. For those unfamiliar with Kalman filters, this chapter provides a good overview. For those already familiar with filtering, it provides a high-level discussion of issues that must be considered in using Kalman filters in integrated navigation systems (e.g., stability, measurement delays, etc.,). For those wishing more details, a short but excellent list of references and books is provided. The third part of the book consists of several chapters discussing the various types of navigators used as the building blocks of integrated navigation systems. 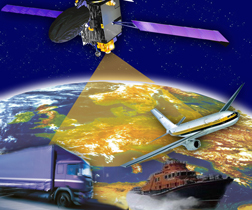 The discussion includes inertial navigation systems (INS), global navigation satellite systems (GNSS), terrestrial radio-navigation systems, non-inertial dead reckoning systems and systems based on map or feature matching. The discussion of inertial navigation is thorough and covered in two chapters, the first of which focuses on inertial sensors and sensor error models. The second chapter focuses on INS algorithms and mechanizations. The next three chapters deal with GNSS. Although the coverage may not be as in-depth as texts dedicated to GNSS (e.g., Global Positioning Systems: Signals, Measurements, and Performance, by Pratap Misra and Per Enge) and should not be used in lieu of such texts, the GNSS section offers sufficient detail to enable the reader to understand the various INS/GNSS fusion architectures presented in the fourth part of the book. The chapter on non-inertial dead reckoning systems includes discussions of magnetometers and Doppler radars, which allow the reader to understand error models for these sensors and appreciate the issues involved with their use. The last part of the book consists of four chapters discussing the design of integrated navigation systems. The first of these chapters discusses the various architectures for INS and GNSS fusion. This includes a description of the mathematical models used in the Kalman filters for realizing loose, tight, and ultra-tight (or deep) INS/GNSS integration. The next chapter looks at the problem of INS alignment in the framework of integrated navigation systems. A general discussion about architectures for integrated navigation systems is provided in the following chapter. Finally, the last chapter deals with fault detection and isolation in the setting of an integrated navigation system. Overall this is an excellent book and a welcome addition to the field. It is written in the style of a textbook and includes many equations, diagrams, and figures. The only thing missing from the book is worked-out examples and problems. Therefore, those who decide to adapt it as a classroom text will have to supply their own examples and problems. However, I believe that the rewards of adapting as a classroom text outweigh the lack of worked out examples or problems. I used the book as a text for a graduate class in navigation. Unlike other texts on the subject used in the past, I found that students were very receptive to this book and found it useful. Based on this feedback and the content of the book, I intend to use it as a text again.